You are probably wondering when I will get around to telling you about my time in Hong Kong. Well the answer is .. today! So last you heard, we were hopping onto a plane exhausted from the heat. I slept the whole way to HK. We arrived and Anth’s whole family was waiting for us at the airport. His family were so nice and lovely! They made me feel so welcome. I had my own wee tiny room in the apartment which was literally just big enough to fit the bunk beds and my suitcase on the floor. We were up on the 30th floor of the apartment building which apparently had 3000 people living in it, and was only 1 of the 6 different apartment buildings within the estate that Ant grew up in. So Hong Kong is mega packed. Like really packed. The trains run every 2 minutes and every train is full of people going to work. Me being a kiwi girl had no idea how spacious and large New Zealand is. And how lucky we are. Kiwis really have no clue about how differently we live compared to other cultures. And the food. Oh the food and the things asians eat. I had so much ‘dim sum’ as it’s called. I ended up pretty good with the chopsticks in the end. So we did many many things. I won’t bore you with all the details. But we did a lot of eating out. Like just about every meal. 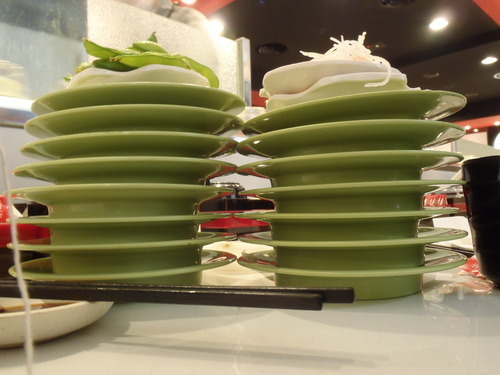 This photo is of all the food plates we had in a sushi train restaurant. We ate soooo much! We went to the theme parks Oceanworld and Disneyland. Disneyland was very very cool. I highly recommend going. We went up the peak above HK and the view is STUNNING. 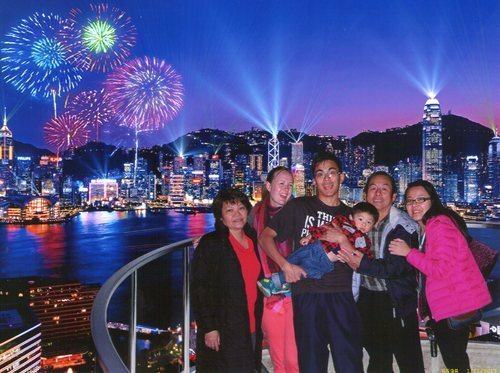 One night we went to the harbour and watched the world’s biggest laser light show. Also very impressive. 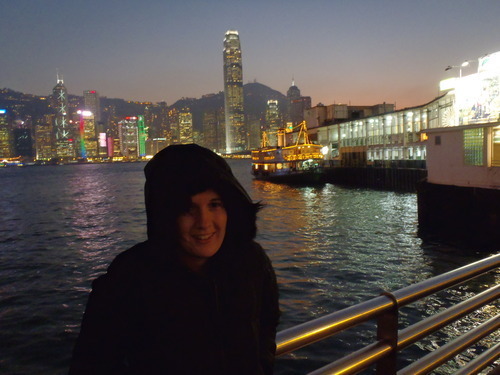 It was also surprisingly freezing cold in HK. Anth thought it was pretty funny how I believed him when he said HK winters were just as warm as New Zealand summers. Such a lie haha. So I didn’t bring any warm clothing on holiday with me. Luckily clothing is pretty cheap to buy there so I invested in a decent winter jacket. 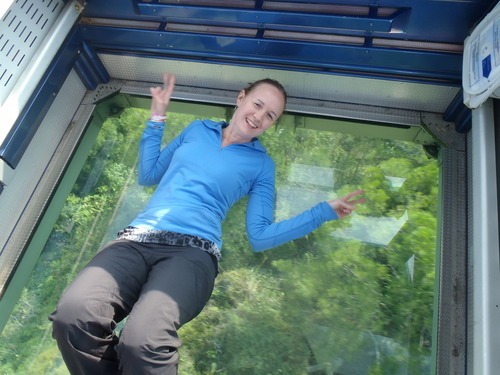 Anther mentionable activity was the crystal cable ride. These cable cars with see-through glass bottoms were designed by Anth’s brother-in-law (so neat!). 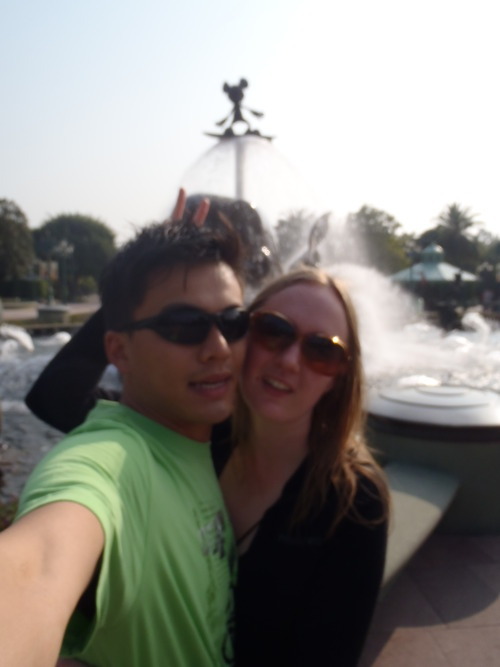 We also popped across on the ferry to another island called Macau to watch the House of Dancing Water show. The show is breath-taking and definitely a must-do. All in all I had an amazing time. I feel like I especially got a great tour with having my boyfriend (a local) and his sister show me round, translate for me, and ordering strange things for me to eat. This photo is of Anth’s family and me :) His nephew is the cutest wee boy. Click me to see some trip photos! These are various Singapore and Hong Kong photos taken over the 2 weeks. My favourite ones are the snake holding ones! I was so scared! !